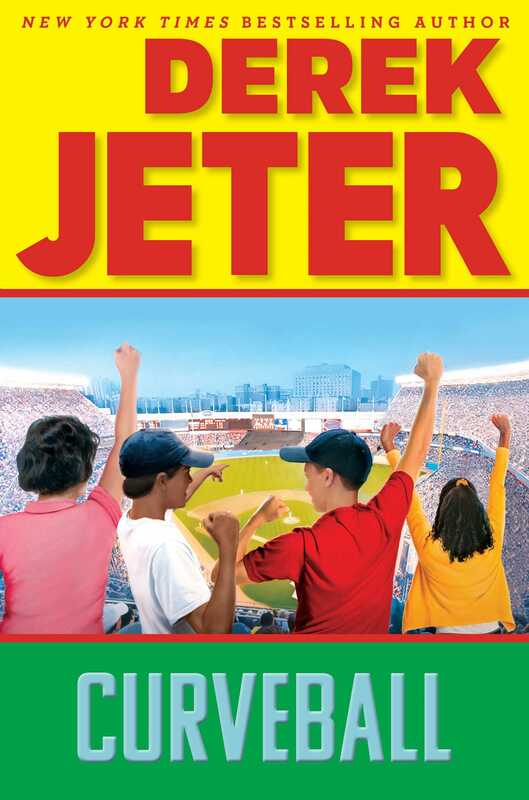 In the fifth book in the New York Times bestselling middle grade series inspired by the life of iconic New York Yankee Derek Jeter, Derek spends the summer with his grandparents in Pequannock Township, New Jersey. As soon as the bat hit the ball, Derek knew it was coming his way. From his crouch he tracked the screaming liner with his eyes, timing his leap, upward and to his right. At the last instant he stretched his arm as far as he could. It seemed to Derek in that nanosecond, as he flew through the air, that he really was flying! It also seemed to him that his arm extended farther than the possible limits of human arm-stretching. . . .
And the ball hit his mitt—right at the outer edge of the webbing! Derek squeezed the ball tightly as he fell back to earth, held it as he hit the dirt of the infield and kept skidding. “Two! Two! Two!” someone was shouting at him. Derek knew what that meant. He had a chance to get the runner trying for second base, making two outs in one incredible play—if he could just get up and throw to second on time! Somehow he got the throw off, and Willie Randolph grabbed it in his mitt. At that exact millisecond the runner slid into Willie’s glove. “OUT!” the umpire yelled. “Way to go, Derek!” shouted his best friend Dave from Kalamazoo, who was manning third base. “Great play, kid!” Don Mattingly said, tipping his captain’s cap. Suddenly Derek found himself outside the stadium, in the parking lot. The game was over, but he was still in uniform. Next to him a car was gunning its engine—a sports car . . . and in the driver’s seat, Dave Winfield. Derek’s all-time favorite ballplayer! Derek sat up in bed with a start. Wow, he thought as he let his heart calm down in the darkness of the bedroom. That was some dream. Across the room his sister, Sharlee, lay peacefully in her bed, softly snoring. Derek looked over at the alarm clock. It was just after five in the morning. Hearing the revving of a car motor, he realized that was what had woken him up. He went to the window. It was still dark outside, but at the far end of the yard, where the property met the road, his grandpa’s old pickup truck was just pulling out of the long driveway. Sharlee and Derek were spending the summer with their grandparents in Greenwood Lake, New Jersey, just as they did every year. And like on every other day while they were there, Grandpa was already on his way to work. Six days a week, and half days on Sundays too. That’s what it was like to be the chief caretaker of a church, which was what Derek’s grandpa had been for many, many years. Grandpa always came home from work hungry and tired. Most evenings, all he could do was eat dinner, watch a little TV, and fall asleep—usually before Sharlee’s bedtime, let alone Derek’s. So it was mostly Grandma who was able to spend time with the kids. She was the one in charge of the kids all day. She cooked for them, did the wash, cleaned the house, played with them, and tended to their cuts and bruises. The amazing part was, she almost always seemed to enjoy it. To Derek she had always been a kind of—well, not superhero, maybe, but superperson. She’d had thirteen kids of her own, including Derek’s mom, and she’d raised them all into fine, upstanding grown-ups, and now she was helping watch all the grandkids, too. He hoped that when he was a grown-up, everyone would love and respect him the way everyone in the family did Grandma. Derek looked out the open window. He could hear the crickets chirping. The sky was starting to get lighter. He didn’t feel the least bit tired. In fact, he felt restless. He couldn’t wait for the morning to get going so that the usual fun could start! He and Sharlee had already been here a few days, but it had rained a ton. They’d hung out a lot with their cousins, who all lived in the area, and some of whom always managed to end up sleeping over at Grandma and Grandpa’s. They’d all gone bowling once, and to a movie another time. But Derek hadn’t been swimming in the lake much yet this summer—and that was where most of the fun happened around here. Right now everyone was still asleep. Derek got dressed quietly, washed up, and went down to the kitchen to make a bowl of cereal, and wait for Grandma to come downstairs. She was almost always the first awake, in order to make sure everyone’s breakfast was ready before they even got downstairs, but she wasn’t the first today. Grandpa’s truck had seen to that by waking Derek up extra early. Still, Grandma was sure to be down in a few minutes, well before Sharlee, who usually slept till eight o’clock at least. As he made “pre-breakfast” Derek thought back to the dream that had woken him up so early. What had been so great about it was that he and his friend Dave had been playing for the Yankees—the real Yankees, including Mattingly, Randolph, Guidry, and especially Dave Winfield. Winfield had been a great player for years, and Derek idolized him. Derek knew everything there was to know about Winfield. Not just because he was a great ballplayer, but also because he was a great person. He’d even started his own charity! Derek knew that, because he had done a report on Winfield last term at school, when they’d had to write about their role models—the people you look up to and listen to because you want to be like them in some way or other. Derek had considered writing about his mom or dad, or grandma or grandpa. But his teacher had told them all to look for role models outside the immediate family. So Derek had chosen Winfield, naturally. Derek hoped he could someday be like Winfield—except that he wanted to play shortstop for the Yankees, not right field. Derek felt deep inside that if he worked hard enough, and kept improving his game . . .
That was the thing that had been eating at him ever since he’d arrived for the summer. His game. Sure, everything was great here in New Jersey, as usual. But Derek had just come off a great season of playing baseball, with his dad as his coach. They’d won the league championship—Derek’s first title ever! He’d been so psyched by the end of the season that he never wanted to stop playing ball. And as much fun as he always had with his grandma and grandpa, there was no summer Little League here that he could be a part of. Derek feared he’d lose some of his new baseball skills over the summer. In fact, he wouldn’t have another chance to get into a real game until Little League started up again next spring, almost a whole year from now. Well, at least when Dave comes, Derek thought, we’ll be able to work on our game a little. Dave was a good player, even though he’d been playing baseball for only a couple of years. Golf was Dave’s real passion, and someday he hoped to go professional in that sport. For him baseball was just a way to have fun. But he had enough athletic talent that he could go far in baseball, too. Derek knew why he’d seen Dave in the dream about the Yankees. Dave was going to be coming to visit him here in New Jersey in three weeks. Derek was psyched just thinking about it. He’d show Dave the lake, and the Castle, and introduce him to everybody, and get him involved in all the family fun. The two of them would also find time, he hoped, to play some mini-golf, or pitch and putt—maybe even go to a driving range. Derek was sure he could persuade Grandma to take them. Best of all, Derek was looking forward to taking Dave to his first major-league baseball game—at Yankee Stadium! Derek’s grandmother always organized a family outing to a Yankees game every summer, always in early August, which was when Dave was due to be here. The whole family came along, including Grandma, aunts, uncles, and cousins—even the little kids. It was always a blast. They practically took up a whole section in the upper deck in right field. Derek couldn’t wait to share it all with his best friend in the world. Or rather, with one of his two best friends. The other was Vijay Patel, but Vijay was in India for the whole summer with his family. They were there to attend a family wedding. Vijay hadn’t been able to join Derek in New Jersey, but hey, there was always next year, right? “Yes! Yes, I want some!” Derek shouted, then put a hand over his mouth. He hadn’t meant to yell so loudly when everyone else was still asleep. Besides him and Sharlee, there were always other cousins staying at the house. “Hmm,” said Grandma. “I suppose I could let you have two breakfasts, just for today,” she joked. “After all, you’re a growing boy.” She turned toward the pantry, going for the flour. Aunt Dorien worked in New York City, about an hour away by car. She was a manager at a hospital. Her kids, Jessica and little Alfie, were five and three years old. Grandma would be making pancakes for them, too, and then they’d all head over to the Castle for a day at the lake with the rest of the family. Grandma Dorothy had lots of responsibilities, but her main one was watching all the family’s kids all day while they played down at the lake, which was about a five-minute drive away. The property belonging to Derek’s extended family featured a huge old stone house, known as “the Castle” because it really did look like one. It had been built by some rich guy long ago but had since been made into several apartments, most of which were lived in by Derek’s relatives. There were other, smaller homes on the property too, as well as a large lawn leading down to the lake. Derek’s cousins played all kinds of games on the lawn—volleyball, tag, touch football, soccer, and of course Wiffle ball, which always frustrated Derek. He had cousins who were his age or older. But there were also lots of little kids running all over the place, so it wasn’t safe to hit a baseball, or even a softball. And after years of playing hardball in Little League, Wiffle ball just didn’t do it for Derek anymore. There was a public beach in the town of Greenwood Lake, but the family members almost never went there. Why would they, when all they had to do was jump into the lake off the cement boat dock at the Castle? There was a wooden floating platform about a hundred feet out, where they could rest if they were tired, and pretend they were on a boat or a ship. Yes, there was always someone to have fun with, just not this early in the morning. “Don’t worry. They’ll yell when they want food. Here, put this on,” he said, giving her his mitt. “I’ll hit ’em to you. “And who’s going to chase down all these home runs of yours?” she asked. But he was already jogging over to the far end of the yard, by the woods at the edge of the property. Grandma followed him. Raising his bat as she tossed the ball, he swung with all his might. The ball dropped harmlessly to the ground behind him. He’d been in such a rush to show off for her that he hadn’t remembered to keep his eye on the ball. “Wait, wait!” he said. He could see the grin on her face. Grandma loved to tease him. She loved all her grandkids and would have dropped everything to spend time with any of them. She’d been Derek’s biggest fan ever since he could remember. Why, it was all because of her that he’d become a Yankees fan. Derek laughed. On his next swing he hit one way over her head. It landed on the road and took a high bounce onto the neighbor’s lawn across the street. So they switched sides. That might have helped avoid an accident, but it didn’t help Grandma any. Time after time she had to make her way into the woods to find the balls he’d hit past her. “I’ll bet you can.” She put an arm around him. “But not before you have some pancakes in you.” She kissed him on the forehead, and they went back into the house. There was still no sign of Sharlee or the others, but once they smelled the pancakes, they’d be down in a hurry, Derek knew. Logan and Andrew were cousins of his who were in high school. Derek had already thought of asking them about it, but he wasn’t really into softball either. For him it had always been hardball or nothing. But her mention of Dave had reminded him of something else—he needed to ask her about Dave coming with them to Yankee Stadium on his visit. He was sure she’d say yes, but he’d already promised Dave, and he didn’t want to leave it till the last minute to get permission from Grandma. “Well, that’s usually true. But your uncle Louie and aunt Edna are going to Niagara Falls that week with their kids, and it wouldn’t be the same without them. The more the merrier, right?” Louie and Edna had five kids, including Zach, their oldest, who was fourteen, and nine-year-old Oscar, the cousin who Derek always had the most fun with. “But—but what about—” Derek blurted out before catching himself midsentence. He couldn’t very well tell her, without checking with her first, that he’d promised Dave that he would get to see the Yankees. Derek knew that his family went to only one Yankees game every summer. It was expensive, not to mention hard to arrange, what with so many cousins and aunts and uncles involved. But they had always gone in early August. He’d never even considered that Grandma might change the date. Now Dave might not get to go to a Yankees game at all, and it would be all Derek’s fault. Derek didn’t know what to say. He didn’t want to seem ungrateful, and he knew it would be too much to ask Grandma to return all those tickets and start over again, making arrangements for twenty-five people to go to another Yankees game, and leaving out Zach and his whole branch of the family just so that Dave could come. And at the same moment he heard Aunt Dorien’s car pulling into the driveway. Derek realized he’d have to wait till later to talk with Grandma about Dave and the Yankees game. Which was just as well, because he had no idea what to say or do about it. This summer, Derek Jeter is living the dream! Derek and his sister, Sharlee, are spending the summer with their grandparents in Greenwood Lake, New Jersey. The summer promises fun-filled days at the castle on the lake with his cousins, a family day at the Yankees game, and a visit from his best friend, Dave. Write about a dream that came true or an experience that you were looking forward to where everything did not go exactly as expected. Briefly explain what went right or what went wrong. Include how you felt before the event and how you felt after. Did your attitude affect the outcome? Derek dreams that he plays baseball with his role model, Yankee outfielder Dave Winfield. Why did Derek select Winfield as his role model? Why do you think this was a good choice for him? In Curveball, Derek recognizes the importance of being a role model. One fun and lazy day at the lake near the Castle, Derek hears his little sister yell, “Stop!” Cousin Zach is about to throw her into the water, and Sharlee does not like it. Derek firmly intervenes. From his sister’s and cousin’s reactions, Derek realizes that while standing up for what you think is right can sometimes be difficult, people will respect you for your efforts. Give an example of an experience when you had to stand up for what was right. What was the outcome? What were you most proud of? What, if anything, might you have done differently? How did Derek demonstrate the qualities of a role model? Explain what you would have done in the same situation. Why would you have chosen to act that way? Derek meets a group of kids who play weekly baseball games in a sandlot field close to Yankee Stadium. After an amazing save involving a fly ball, Derek is invited to play on their team. He is very excited about the opportunity, but the Bronx is a long way from New Jersey where his grandparents live, and it’s not clear how he’ll manage to get to the games. How does Derek resolve this situation? What did you think of his solution? Would you have joined their game, or would you have turned down the offer? Look on a map to determine the distance from Greenwood Lake, New Jersey, to Yankee Stadium in the Bronx, New York. How many miles apart are they, and how long would it take to drive by car? Derek is thrilled to be at Yankee Stadium with his family. He will finally see his role model, Dave Winfield, and the other Yankees play ball in person. He enjoys everything: the crowds, food, sounds, colors, and smells. He describes the scene in vivid detail. Write an essay about a special summer trip or local event that you attended. Be specific about what you saw, what you did, and how it felt to be there. Did you take pictures or purchase a souvenir? What did you do to remember the occasion? Share your essay with your class. All of the adults in Derek’s family work hard. It reminds Derek of the contract he’d signed with his parents that explained the rules he was expected to follow. Which item on Derek’s contract refers to helping his grandmother? Which item refers to the manner in which he should approach his tasks? Select one rule from the Contract for Derek Jeter, and explain how you would apply it to your life. Offer detailed examples from personal experience to support your selection. Derek’s friend Dave is coming to visit him at his grandparents’ house this summer. Derek agrees to work several small jobs to earn the money to take his friend Dave and his sister, Sharlee, back to a Yankees game. He agrees to mow lawns and do odd jobs but doesn’t realize the work will be so hard. Describe a chore or small job you have had to do in order to accomplish a goal. How did you feel about working hard to achieve it? What did you accomplish? What did you learn? After dinner one day, Grandpa seems exhausted and appears to fall asleep on the couch. However, he is not too tired to talk to Derek about his efforts to earn a little money for the Yankees tickets. He invites him to go to work with him to earn more money, claiming “hard work never hurt anybody.” Do you agree with this statement? Explain your reasoning. When Derek arrives to play ball with the kids from the sandlot, he is introduced to several boys with strange nicknames. What are two of those nicknames, and where do you think they come from? Do you have a nickname? If so, explain what it is and how it applies to you. In his first game with the boys at the sandlot, Derek knows he has to play his best. They have him playing in an unfamiliar position, but Derek is up for the challenge. How does he adjust to the new position? Discuss the fielding and hitting strategies Derek used to be a successful team player. What were the results? Derek had both his uncle and his aunt supporting him from the stands while he played in a strange city with this new team. How important do you think it is to have positive and critical feedback when you tackle a new challenge? What did his aunt and uncle do to show Derek that they were there for him no matter what? Do you have a family member or friend who always supports your activities? Discuss a specific situation. How did you benefit from this experience? To earn extra money, Derek makes a deal with his grandpa to help him at work. The task seems overwhelming at first, particularly the idea of getting up so early in the morning. But a promise is a promise. What time does Derek’s grandpa wake him up? Why is it so hard for him to get up this early? Why is it important to get to school or work on time? Derek’s grandpa is a custodian at a local church with a big brick schoolhouse attached. His grandpa tells him that his job is to mow the big athletic field behind the school. Derek surveys the assignment and “could see that he had a monster job ahead of him. The field was as big as twenty of the lawns he’d been mowing, and the grass was five times as high! Clearly, no one had mowed this field for weeks . . . .” Derek is determined to meet the challenge. Explain what happens next. Does it look like Derek will finish this task? What do you think having Derek’s help means to his grandfather? There is a well-known idiom that says, “Don’t bite off more than you can chew!” Look up this phrase and the definition of an idiom. How does this phrase apply to Derek’s situation? Write a brief essay about a time when you accepted a job or participated in an event that that was bigger than you expected. In your narrative, explain the task and the outcome. It’s been a hard day and Derek’s energy is almost spent. Derek is just about to call it quits when help arrives. Who has come to his rescue? How does this make Derek feel? What is so special about the help he receives? What lesson does Derek learn from his day at work with his grandpa? Have you ever helped anyone without being asked? If so, how did it make you feel? Derek is selected to play shortstop against Jumbo’s team. Why does Jumbo, one of the team leaders, make that decision? Derek, or “Jersey Boy,” is doing a great job as a member of the new team, but he wonders if he can keep it up. Why do you think he’s so nervous about playing with this group of boys? Discuss what Derek has to do to adjust to the new challenge. Conflicts with Jumbo are sure to surface, especially since he’s older and a better player. After the game, Jumbo asks Derek to follow him to a remote spot on the field. What does he ask him to do and why does it make Derek uncomfortable? Sometimes we are faced with difficult choices. Explain a dilemma that you’ve experienced in your life where you were asked to do something that felt wrong or hurtful. What was the outcome? How did you handle the situation? Did you seek help from a friend, family member, or teacher? Derek’s friend Vijay is spending the summer with his family in India, where he’s participating in a big, traditional family wedding. Vijay takes a moment to write Derek a letter describing some of his family’s cultural rituals and the fun he’s having with his younger cousins. Were you surprised by any of the wedding events that Vijay described? How are they similar to or different from the way your family celebrates special occasions? Vijay discovers that his young cousins follow him around and ask many questions. They see their American cousin as a role model and like to marvel at his accent and his American ways. Derek has similar interactions with his little cousins at the Castle in New Jersey. He feels responsible for the young cousins that look up to him. Is he a good role model for them? Explain why you feel this way. Do you think Derek enjoys being a role model? List and define character traits that describe Derek, Vijay, Jumbo, and Tiny. Which ones best describe you? Compare your list with your classmates. Derek finally shares the incident involving Jumbo at the ballpark with his grandma. The idea of being asked to do something wrong has been worrying him all week. His grandma reminds him that as he gets older, he’ll be confronted with peer pressure situations that will challenge him, but it’s important he have the courage to do the right thing. What do you think was the right thing to do? What would you have said to Jumbo? What advice would you give to someone in a similar situation? Why do you think it can be difficult to have the courage to speak out? Jumbo displays a forceful leadership persona and is known for his great fielding and batting skills; however, the graffiti incident makes it obvious to Derek that Jumbo is not the best role model for him. At the end of the game, Jumbo and Tiny have opposing opinions about whether or not Derek should spray-paint his name on the backfield wall. What happens next? Why is this a real issue for Derek? What would you have done and why? Suggest an alternative response to resolve Derek’s dilemma. What else could have happened to change the outcome? Derek finally realizes that there are all kinds of role models: some can be celebrities who you may never meet, and some can be found right in your own family or community. Each role model can teach valuable lessons in his or her own way. In Curveball, Derek discovers a few new role models who inspire him to become a leader among his peers and his own family. Who are they, and why is he inspired by their behavior? Prepare a brief biography sheet on one of your own role models. Who do you watch and look up to? What values or actions do you admire? What lessons have they taught you? Read chapter 14 aloud as a class or with a small group. Why do you think this chapter is titled “The Ultimate Test”? Collect a 3 x 5 card from your teacher to write your response, offering specific details to support your answer. Once you’ve finished, share with the class and discuss different interpretations. With your classmates, brainstorm a list of qualities or values good role models may display. Once you have a list of at least twenty-five, select five that most apply to you and explain why you think they’re important. Were you surprised by any of the traits your classmates suggested for the master list? Do you think any of the qualities or values you believe to be important might change as you grow and have new experiences? 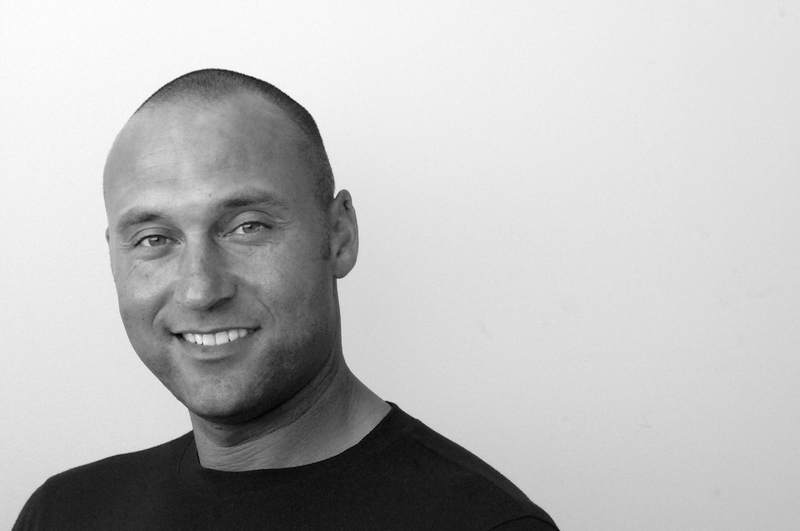 What are a few of the personal values from this list that Derek Jeter displays in Curveball? Consider two questions: What goal do I want to meet? How can I meet this goal? Think about how Derek earned money to pay for Yankees tickets. Is your goal to make it to an event, to buy something for yourself or a friend, or learn something new? Add your goal to a class bulletin board and measure your progress. Alternately, consider making a classroom goal instead. Guide written in 2018 by Chrystal Carr Jeter of Willoughby-Eastlake Public Library, Willoughby Hills, Ohio.